Anna Goody Photography, Web Design, & Brand Development. I created this website many years ago to showcase my ski-racing career. I have since transitioned from ski racing, to college, to many other endeavors including mountain bike racing, skiing & coaching, and web design/branding. As an elite athlete and Olympian, I learned first-hand the importance of connecting and engaging with my audience. Through blogging and social media I created a large following and an everlasting personal brand through Annagoody.ca. Since retiring from ski racing I’ve continued to follow my passions for photography, design, and adventure while maintaining my personal brand and building new brands. As a ski racer, annagoody.ca garnered a large audience and created various writing and media related opportunities – it also forced me to learn how to build and maintain a website. I have since built many different types of websites, mostly for e-commerce, small businesses, and small non-profits. Combining web design and photography allows me to showcase your brand identity and build your website in an impactful way. I started ski coaching almost ten years ago with the creation of my summer ski camp “The Ski Racing Sisterhood.” The goal of the camp is to empower female ski racers to be great teammates, professional racers, and positive role-models. I have coached many other camps including American Downhiller, Erich Sailer Ski Camps, Keely’s Camp for Girls, and Camp Fortune Ski Camps. I also coach part-time at Squaw Valley! I’m also an avid skier; I create fun content for different brands and continue to push myself to improve at all aspects of skiing! But mostly, just trying to keep up with Marco! I’ve always loved competing and pushing myself to improve at whatever I am doing. This all translated into bike racing last summer. I decided to enter a few races in the “pro” category, and ended up with some sweet results – results that qualified me to compete in the Enduro World Series next season! 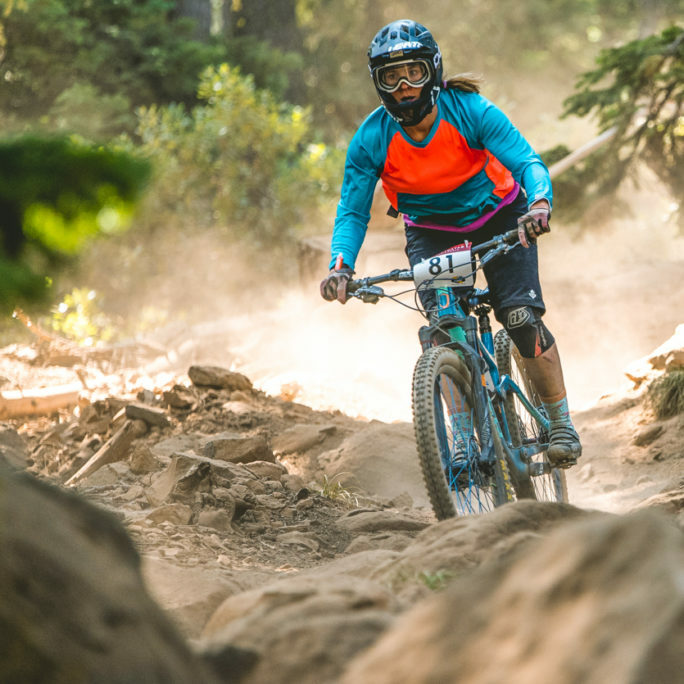 I’ll be racing as a Rocky Mountain Ambassador in the Trans-BC Enduro, Whistler Crankworx (EWS), Northstar Enduro World Series, and Zermatt Enduro World Series. This is where three of my passions: photography, design, and layout organization all blend together to create beautiful and functional websites. Content that reflects and unifies your brand. I don’t just photograph and create websites – I create unforgettable and trusted brands. I do this through photography, web design, and social media engagement. Using design, photography, and social media engagement, I launched The Ski Racing Sisterhood brand in 2012. The brand immediately took off and has since remained and grown as an empowering and everlasting program for Generation Z girls – and their parents! With American Downhiller, I took a simple trademarked name and helped turn it into a brand through unforgettable web design, photography and social media engagement. It is now a powerful social media brand that was adopted by several large organizations, including POC sports. Having successfully established The Ski Racing Sisterhood and American Downhiller as unforgettable brands – I can teach, accompany, advise upon, and develop others. Member of the Canadian Olympic Ski Team for the Vancouver, 2010 Olympic Winter Games. Photographer and Designer specializing in photography, website design, and brand development. What I love: Coffee. I roast my own and have almost perfected the 5 M’s of my home brew.. I also love to ski, mountain bike, camp, and travel.